Deferred and patchy maintenance works have concerned staff and enthusiasts in online forums for some time. The list of reported Metro issues is huge, but a few recent examples have been published on the MTMMemes blog. Ignored problems can lead to derailments. 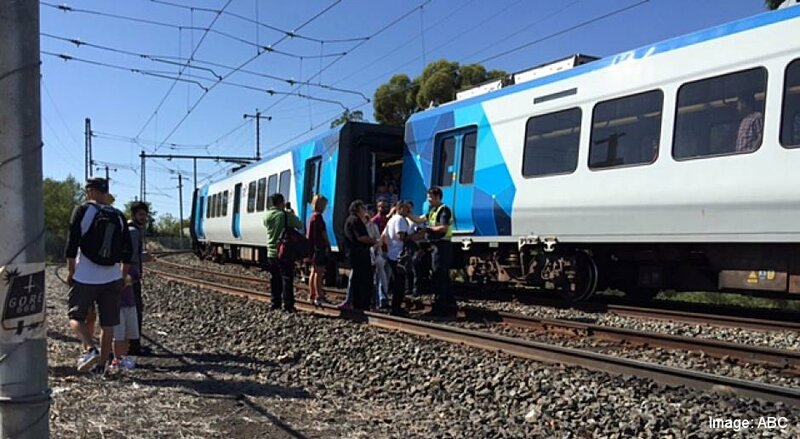 Today a Metro train derailed at Rushall Station on the South Morang line. This may have nothing to do with maintenance and Metro is investigating. But trains do not jump tracks without reason. The ABC reported today’s derailment could have been caused by a wheel issue. Many V/Line trains were recently pulled from the rails after wheel flanges were shown to be wearing far quicker than expected, but Metro staff recently reported suburban trains showed similar wheel wear problems to V/Line’s. At least V/Line had the decency to act on such issues. Metro also banned some V/Line trains for failing to trigger level crossing gates – an issue which, you guessed it, affects Metro trains too. It will be interesting to see if Metro is hammered over today’s luckily victimless derailment as much as V/Line has been over wheel wear. The response so far seems to have been muted. Metro led the pack in blaming V/Line for all network issues, presumably ahead of a bid to take over the network. What goes around comes around runs aground.